Especially if you go au naturel. There ARE homemade lotion recipes to concocte complicated lotions. But they require a ton of ingredients and raise questions about their shelf life. These simple lotion massage bars are crazy moisturizing and make your skin silky soft with a healthy glow. And best of all: you only need 1 natural ingredient. 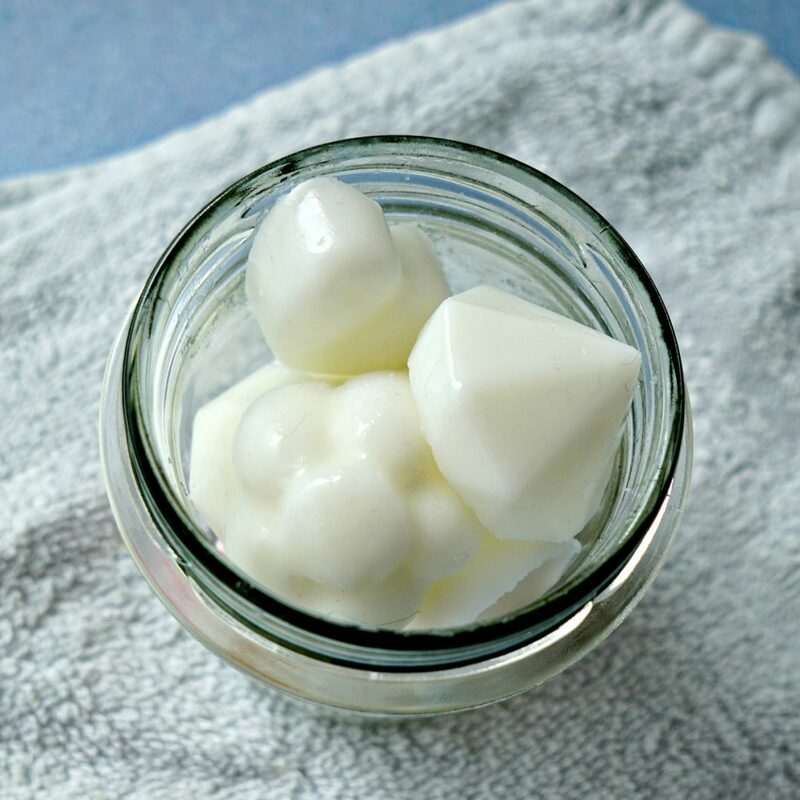 Melt a good amount of coconut oil in the microwave or in a double boiler. Just until the oil is barely melted. Half a cup already makes about 12 mini lotion bars (depending on the size of your mold). Pour the melted coconut oil in your molds. 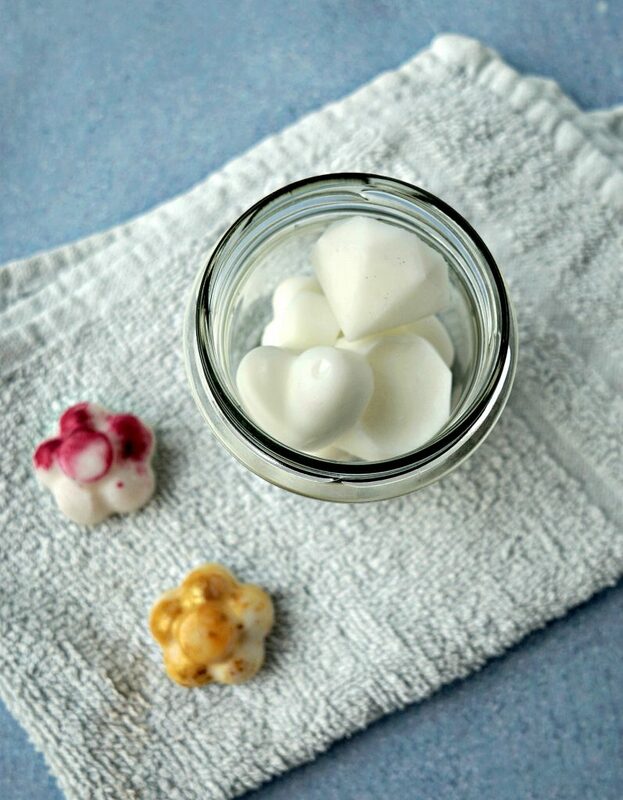 Put them in the fridge and watch them turn into mini lotion bars! You can use any mold you like. I like to use ice cube trays. 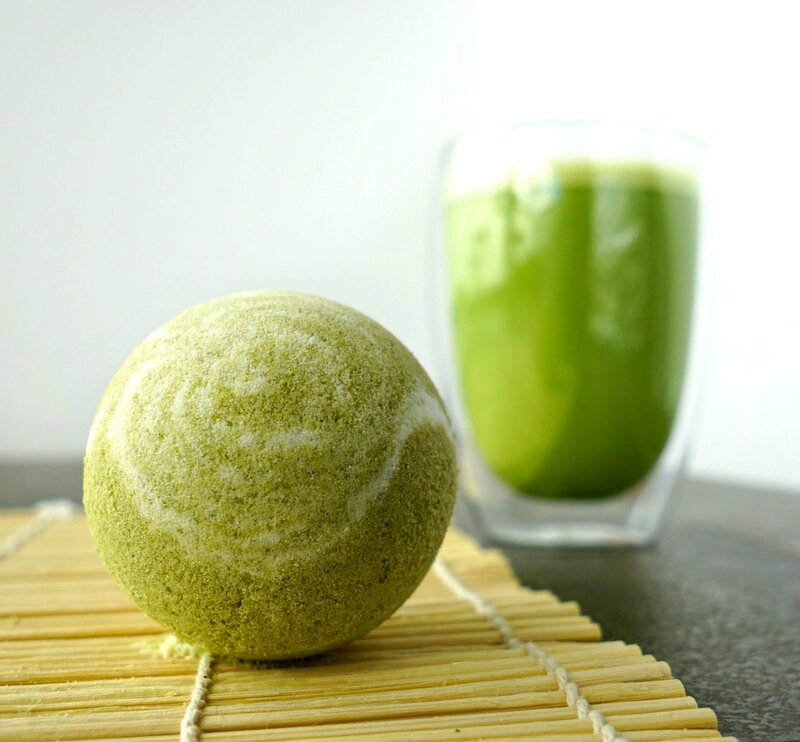 They are perfect to make single serving size lotion bars. I recommend using a new mini bar each time your skin is in need of moisture. Add a few drops of essential oil to the melted coconut oil. The essential oil (I recommend lavender oil!) gives the lotion bars a lovely scent and some essential oils even have benefits for your skin! I have supersensitive skin and essential oils can be quite strong, so I personally prefer to stick to plain coconut oil. You can also add a pinch of mica for a nice glow or use broken highlighter or bronzer like I did in my glitter and bronzer lotion massage bars. I like to use 1 massage bar after each shower. First I dry off my skin and then I rub one of these lotion bars all over my body. From the tips of my fingers to my toes. Once it has melted entirely onto my skin I massage it in with my hands. I’ve also noticed that my keratosis pilaris (those chicken bumps on your arms) are visibly reduced after I’ve used one. I love these lotion bars so much I keep a permanent stash at hand! I keep mine in the fridge. Now that spring is finally here and summer is already approaching they melt very easily. Are you going to try these? Let us know!